In a football team I once managed the players stood huddled in a circle before the game which happened to be a semi-final. Despite a very targeted team-talk in the dressing room about keeping your composure, the vice-captain was pumped for the game. He stood in the middle of the group, ready for battle, appealing to them for a huge effort. He punched the lads in the chest, relaying my primary message and shouted at them in a frantic rage in his loudest voice to “keep your fu##ing composure”. He had lost it, was out of control emotionally and was sent off after 15 minutes! We won the game without him! The best players play on the edge of the rules. There is no doubt about that. However, numerous athletes struggle to stay on the right side of that edge. Some have a tendency to overcook their aggression levels, lose the cool, resulting in either sub-maximal performance or penalization through yellow / red cards etc depending on the sport. This often occurs due to frustration. Frustration can come about due to many reasons – mistakes in own performance – a bad pass, a missed putt, a dropped ball, a poor refereeing decision, concession of a soft score or a missed opportunity or previous negative relations with said opposition. When this happens, athlete’s often lose control for a period and some behave erratically leaving them open to ill-discipline that may have further implications for the team or performance. For a golfer, it could significantly impact on the next shot as a golfer tries to force a shot or over compensate due to the previous shot rather than just just focusing on correct and regular technique for the next shot. For a footballer, it can often result in increased aggression for the next play. How often have we seen a footballer perform erratically after they feel hard done by or frustrated and make an erratic tackle resulting in a yellow or red card. Athlete’s need to be aware of these incidents which trigger or stimulate an increase in emotional regulation as they occur. Having the ability to identify this increase in emotional regulation allows the athlete to stay on the right side of “the edge” and be of more benefit to the team. There is nothing wrong with such an incident giving you a little more “pep in your step” but if a player can regulate emotions and stay in control, their team won’t suffer. The golfer needs to realise that the round consists of approximately 70 independent shots. Bogeying the first two holes doesn’t mean that you cannot birdie any of the next 16 holes. All of the best sportsmen are able to maintain a lower level of emotion and stay cool, calm and collected. Many athletes involved in elite level sport will have the support of performance psychologists who will help them to refocus after mistakes or such incidents by simply wiping the incident from their minds and focusing on the next play – one where they can have a positive impact. The best players realise that players make mistakes and accept them accordingly, allowing them to eradicate them from their minds. The ability to maintain perspective and composure during the course of performance may help maintain a lower level of anxiety and greater capacity to regulate emotions, allowing the athlete to focus on the task at hand. 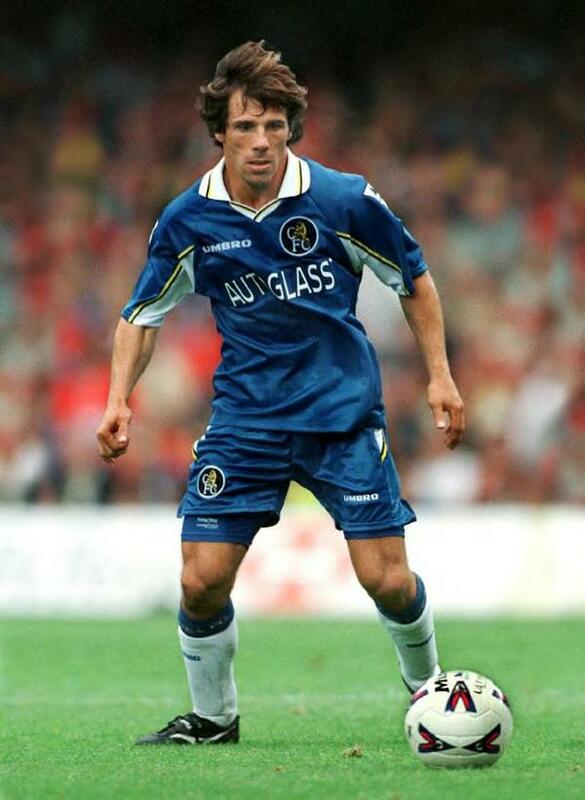 One player who always seemed to be in control of his emotions and able to execute his skills on a consistent basis was Gianfranco Zola when he played at Chelsea. This was despite him being a marked where he would often have to contend with intense marking and aggression from the opposition. Similarly, results from a previous performance can significantly impact on the state of mind of mentally weak athletes who allow previous performances affect how they feel about upcoming performances. As above, athletes need to realise that the previous performance can only have an impact on the upcoming performance if they allow it. Some deep breathing and focus on the next task / play may be of much better advantage and allow a better flow of activation patterns and readiness to perform the skills and tasks required. Previous Previous post: Are You Burned Out?